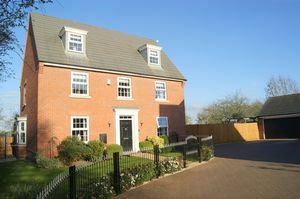 A fabulous five bedroom, three storey detached family home situated at the head of this quiet cul-de-sac. 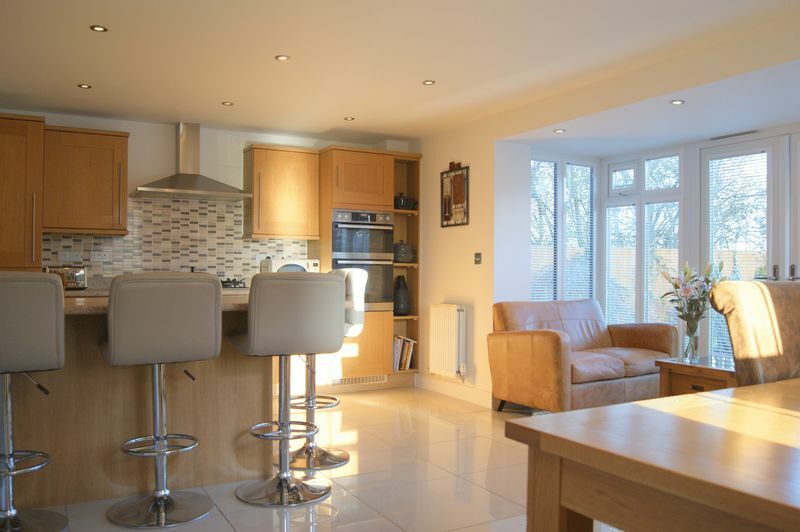 This wonderful home is presented in superb order throughout, and in addition to the five bedrooms, there is an excellent sized lounge, a WONDERFUL DINING KITCHEN WITH FAMILY AREA, and the additional benefit of an orangery that has been added by the current owners. 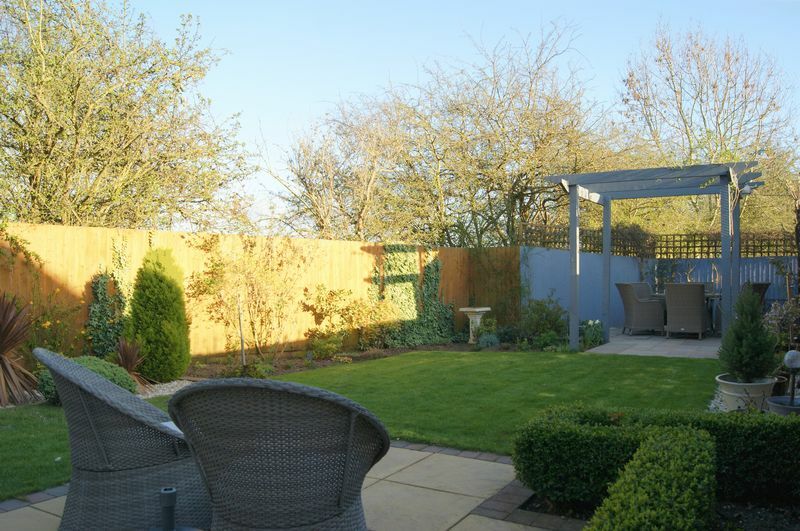 To the outside are pretty gardens, a double width driveway with ample off road parking and a detached double garage. 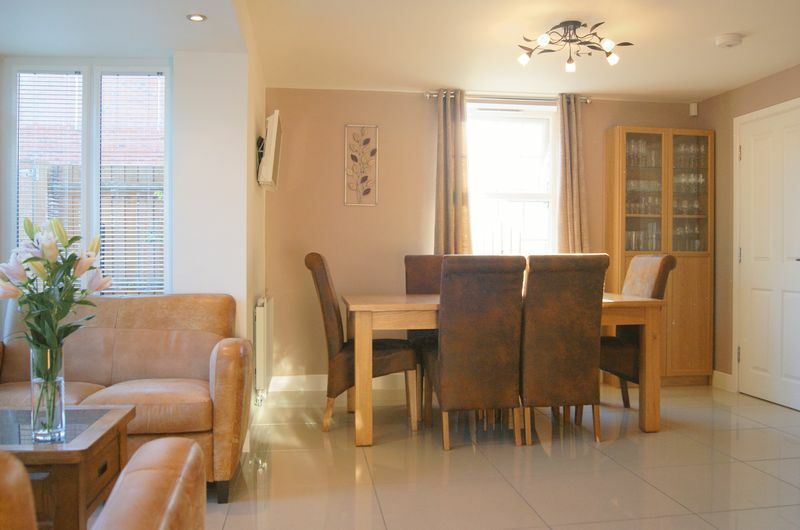 Early viewing is essential for this delightful family home to be appreciated. Fernwood is located on the edge of Balderton with local amenities including a village hall, shop, hairdressers, nursery and infant schools. Balderton is located approximately three miles to the south of the market town of Newark on Trent. Local amenities include a post office, pharmacy, supermarkets including Lidl, Tesco and Sainsburys, a Health Centre, well respected schools and regular bus services to Newark town centre. The location is in close proximity of Route 64 of the National Cycle Network which runs from Market Harborough to Lincoln. Newark-on-Trent boasts one of the finest Georgian market squares in the UK and has many wonderful places to stay. It is a market town steeped in history with a dramatic castle and two museums. Newark has a year-long programme of events – from Continental Markets, Jazz & Food Festivals and Carnivals to Civil War re-enactments. There is a large selection of independent retailers and high street stores offering an eclectic mix of goods and services. Many of the shops face onto the historic market place which has regular open air markets. Newark is ideally placed for commuter links with the A46 to Nottingham and Lincoln, and the A1 for travel North and South. In addition, Newark Northgate Railway Station is on the East Coast mainline and regular trains to London take approximately 80 minutes. 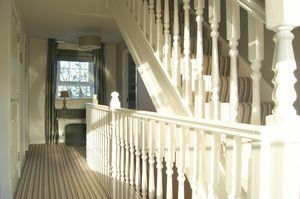 The welcoming reception hallway has the staircase rising to the first floor and doors leading into the ground floor cloakroom, the breakfast kitchen and lounge. There is a useful storage cupboard located within the hallway. The hallway is complemented with Karndean flooring and also has a ceiling light point and a radiator installed. The cloakroom is fitted with a pedestal wash hand basin and WC and is complemented with the same Karndean flooring that flows through from the hallway. In addition there is a ceiling light point, an extractor fan and a radiator. This large and well proportioned reception room has a window to the front elevation and a bay window to the side making it particularly bright and airy. There are also glazed French doors leading through to the orangery. 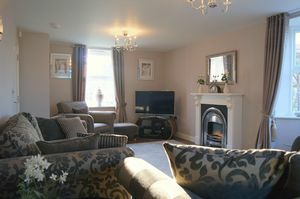 The focal point of the lounge is the feature fireplace with electric fire inset. The room is further enhanced with the same Karndean flooring that flows through from the hallway, together with two ceiling light points and two radiators, one of which is cast iron. This most useful and versatile addition to this family home has a glass roof and bi-fold doors that provide access out to the side garden. 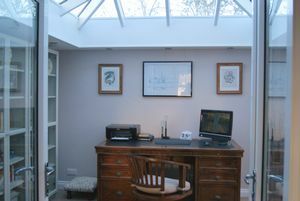 The orangery is currently utilised as a home office/study. The room has recessed ceiling spotlights and a vertical radiator. This wonderful room is the heart of this delightful home and has a window to the front elevation and further windows and French doors that are fitted with bespoke blinds. 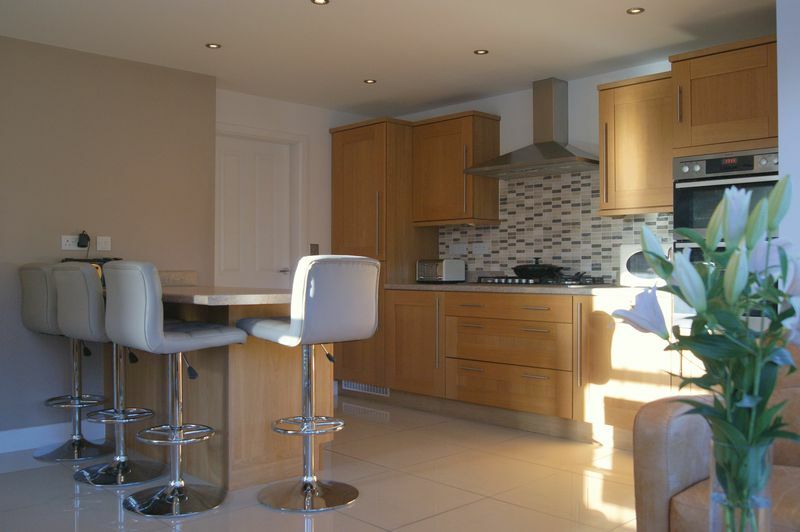 The kitchen area itself is fitted with a comprehensive range of base and wall units with roll top work surfaces and complementing splash backs. Integrated appliances include a six burner gas hob with extractor hood above, an eye level double oven and a fridge/freezer. There is also an integrated dishwasher located within the central island which also incorporates a useful breakfast bar. The breakfast kitchen is of sufficient size to comfortably accommodate a large dining table and occasional dining furniture. The room is further enhanced with a high gloss ceramic tiled floor, recessed ceiling spotlights and a ceiling light point. There are also three radiators installed. A door leads through to the utility room. The utility room has a half glazed door leading out to the rear garden, and a large and useful storage cupboard which is sited beneath the staircase. The utility room has base and wall units to match those of the kitchen, with roll top work surfaces and matching splash backs. There is a stainless steel sink and space and plumbing for both a washing machine and a tumble dryer. The utility room houses the central heating boiler, and also has the same flooring that flows through from the kitchen. There is also a ceiling light point, an extractor fan and a radiator. The staircase rises from the entrance hallway to the first floor galleried landing which has windows to the front and rear elevations. 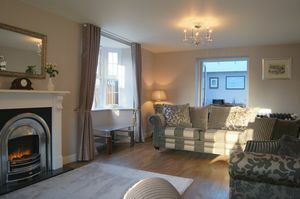 Located on the first floor are three of the five bedrooms, together with the family bathroom and airing cupboard. The landing has a ceiling light point and two radiators. 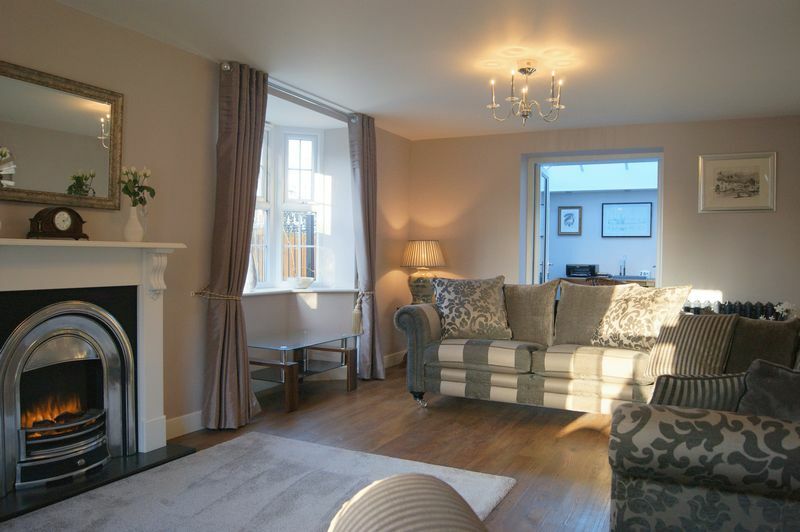 An excellent sized double bedroom with dual aspect windows to the front and side elevations, the windows to the side overlooking the gardens and open countryside beyond. This bedroom has a comprehensive suite of fitted wardrobes, a ceiling light point and a radiator. A door leads into the en-suite shower room. The en-suite has an opaque window to the side elevation and is fitted with a double width walk in shower cubicle with mains shower, pedestal wash hand basin and WC. 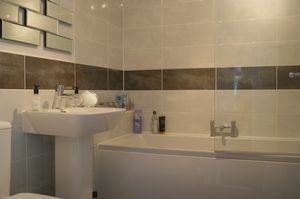 The room is complemented with part ceramic wall tiling. 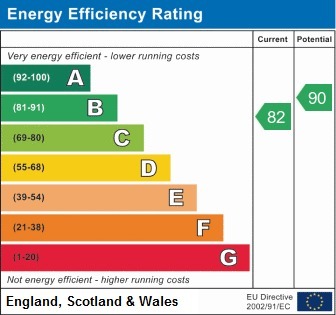 In addition there is a shaver's socket, a heated towel rail and an extractor fan. 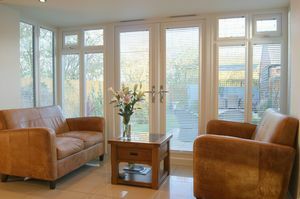 A further excellent sized double bedroom with a window to the front elevation. 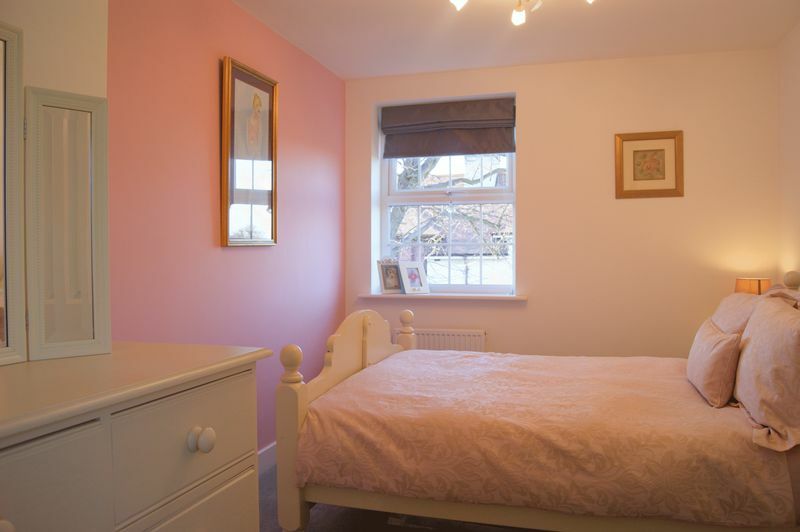 This room has two fitted double wardrobes, a ceiling light point and a radiator. 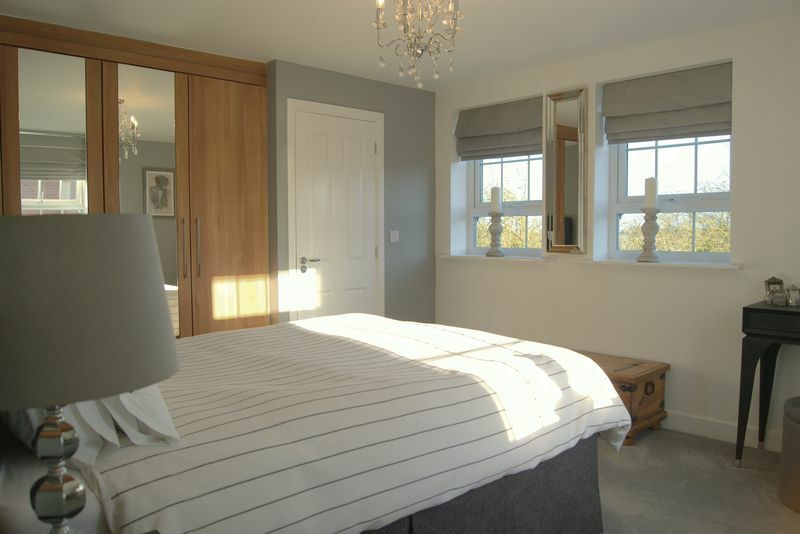 A double bedroom with a window to the side elevation, a fitted double wardrobe, a ceiling light point and a radiator. The family bathroom is fitted with a white suite comprising bath with mains shower above, pedestal wash hand basin and WC. 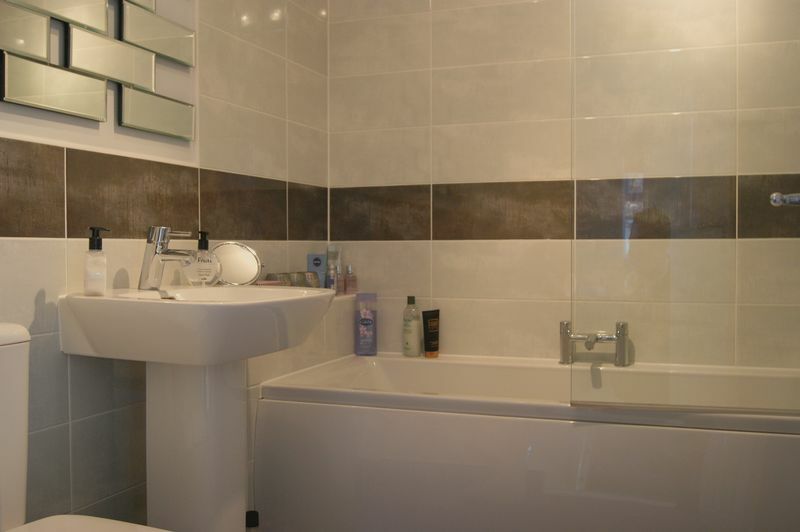 The bathroom is complemented with contemporary ceramic wall tiling, and also has a heated towel rail, a ceiling light point and an extractor fan. The staircase continues from the first floor landing up to the second floor landing which has a skylight window with bespoke fitted blind to the rear elevation. This landing has doors into bedrooms two and five and the shower room. In addition there is a ceiling light point and a radiator. 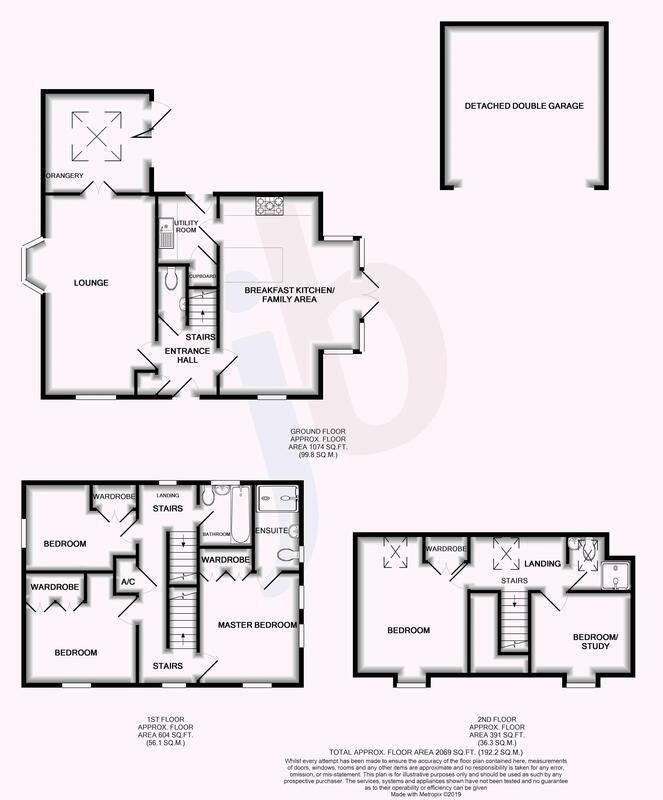 An excellent sized double bedroom with a dormer window to the front elevation and a skylight window with bespoke blind to the rear. This room has fitted wardrobes, a ceiling light point and two radiators. 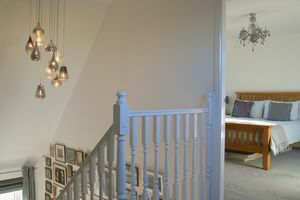 Access to the loft space is obtained from bedroom two. 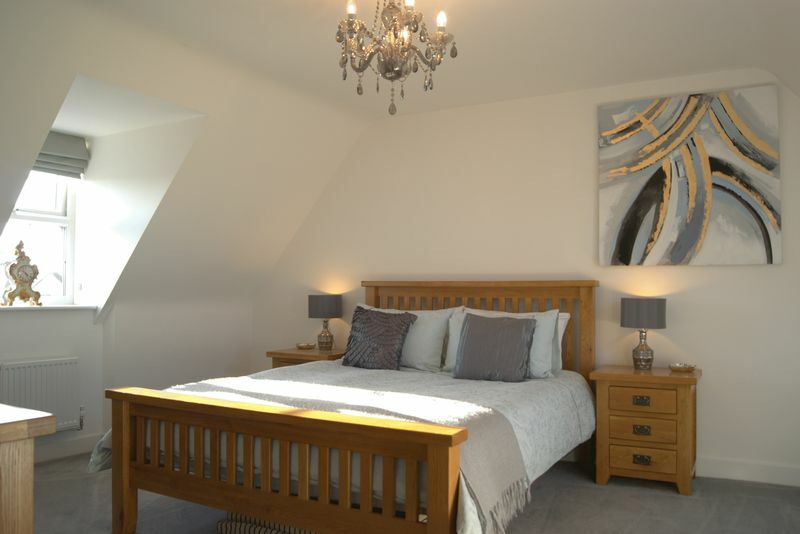 An excellent sized fifth bedroom with a dormer window to the front elevation. 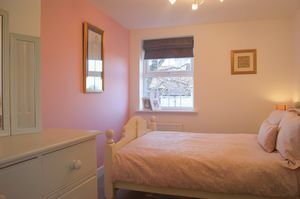 This bedroom is currently utilised as a further sitting room and has a ceiling light point and a radiator. The shower room has a skylight window to the rear elevation and is fitted with a walk in shower cubicle with mains shower, pedestal wash hand basin and WC. This room has a heated towel rail, a ceiling light point and an extractor fan. The property stands on a delightful plot at the head of this quiet cul-de-sac. To the front of the property are manicured gardens enclosed by wrought iron railings, and laid predominantly to lawn, edged with well stocked borders containing a wide variety of mature shrubs and plants. There is gated access either side of the property leading around to the rear. 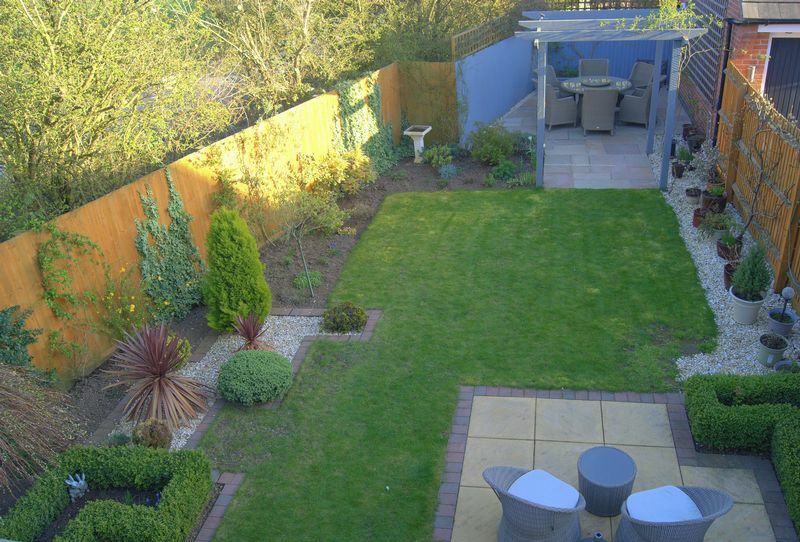 The rear garden once again has been tastefully landscaped, is fully enclosed and comprises of a shaped lawn with two distinctive seating areas, one at either end which provide ideal outdoor seating and entertaining spaces. 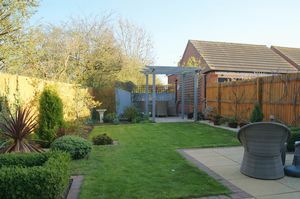 The rear garden has a feature pergola, enjoys a high degree of privacy and contains a variety of mature shrubs and plants. 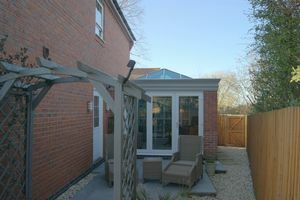 Situated adjacent to the bi-fold doors from the orangery is a further very private courtyard seating area. The block paved driveway which provides off road parking for several vehicles leads to the detached double garage. The garage has an electrically operated remote control door to the front elevation and is equipped with both power and lighting. We have been informed by the vendor that there is a service/maintenance charge of approximately £120 paid twice yearly for the upkeep of the open spaces.